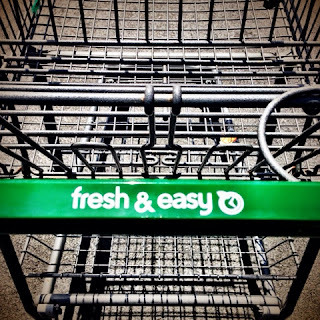 Fresh and Easy has been my grocery store since they first opened seven years ago. I love them because they are small, fresh, and well...easy. I have a small family so I don't need to go to a big-box store. And when I'm in a regular grocery store, I end up buying a whole bunch of stuff I don't need. 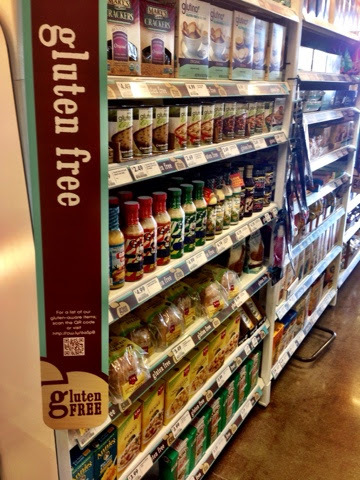 Fresh & Easy = healthy convenience. 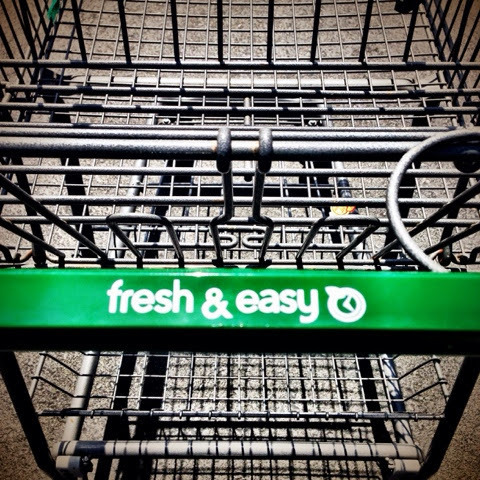 Last week I was invited to tour my local Fresh & Easy store to learn about what's new there. 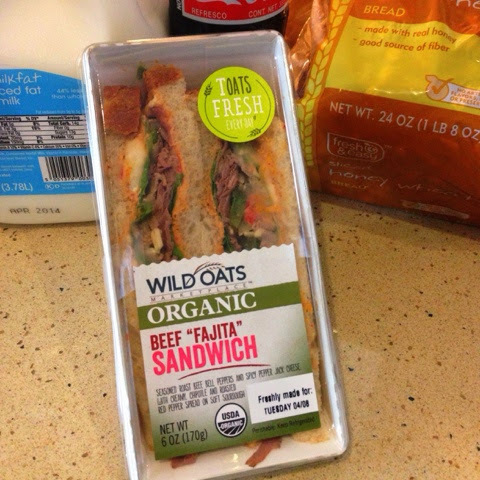 The newest exciting addition to the Fresh & Easy family is Wild Oats, an organic brand of food. 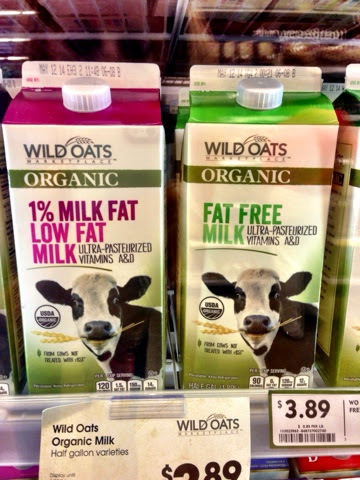 I love that Wild Oats is now available there because I don't have to go to a separate store to get organic food if I need it. Fresh & Easy is differentiating itself by offering Wild Oats, making F&E the only grocery store that offers grab-n-go organic sandwiches and salads. These grab-n-go items are available in the front of the store for easy access. F&E is offering all kinds of organic food options, including Wild Oats milk. 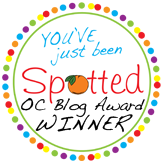 I grabbed a box of Wild Oats eggs to try at home. It was my first time buying brown eggs. And the interesting part is that they have the laid-on date printed on each egg. Those are fresh eggs! Since I'm not gluten-free, I had never noticed the huge selection of gluten-free foods available at F&E. Check this out....two whole sections! 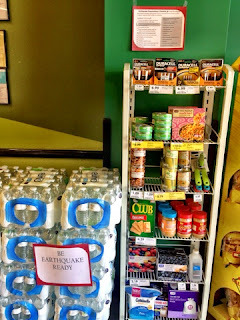 A few days following the big earthquake earlier this month, I noticed an Earthquake foods section at F&E. Coincidentally, April is Earthquake Preparedness Month. 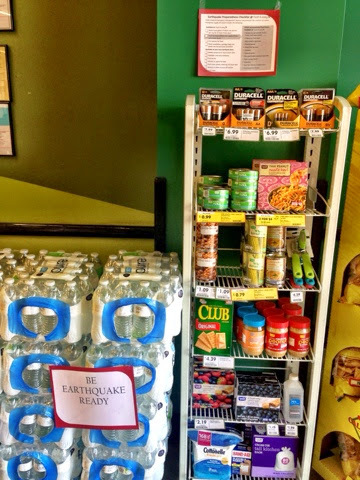 I love that F&E has made it easy for me to pack a quick bag of earthquake-ready food. 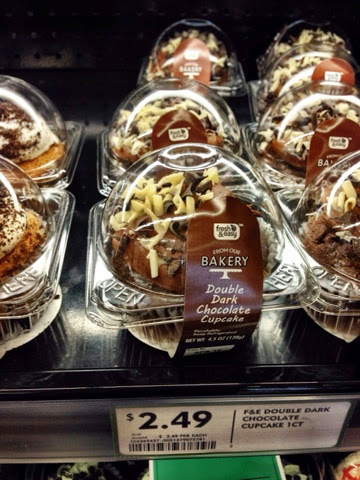 Last, but certainly not least, F&E now offers single-serve cupcakes and cheesecakes. They had 3 or 4 types of cupcakes and they are available for $2.49 each. 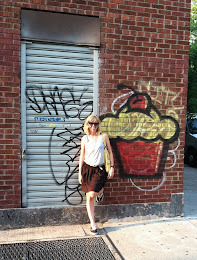 Perfect way to scratch a quick cupcake itch. I don't need to be sold on Fresh & Easy because it is already my favorite grocery store. But I loved learning about all of the new items available. Thanks for a fun time!